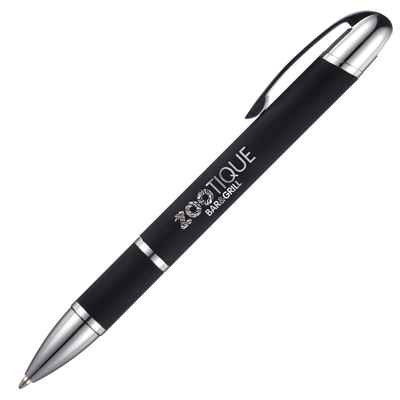 Description: A soft-feel substantial pen which is marked by engraving to produce a wonderful mirror chrome effect. Product Size 139 x 12 mm dia. Additional Information Price includes engraving to 1 position only. Set ups and carriage are additional. Notes Price includes engraving to 1 position only. Set ups and carriage are additional.